Ebbsfleet United have added two more players to their squad with a day to go before the start of the season. 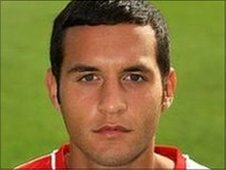 Former Charlton midfielder Alex Stavrinou, 21, returns to Stonebridge Road having had a spell at the Fleet in the 2009/10 season. The other new face is 20-year-old ex-Southend left-back John Herd after impressing in pre-season. The moves are funded by the members of the club owners MyFootballClub voting for an increase in the playing budget. Daish told BBC Radio Kent: "We've had the go-ahead from the membership, we had a vote which gave up the opportunity to get a couple of players in. "Stav's come in and been around pre-season and has shown he can offer something, and also we needed a left-back." Ebbsfleet begin their first season back in Blue Square Bet Premier on Saturday against York City having won promotion through the Blue Square Bet South play-offs. The Fleet are now part-time, but Daish thinks it is possible for a club without full-time status to hold their own in the highest level of non-league football. He said: "Some players are going to be playing on a Tuesday at Kidderminster and be up for work the next day, or some might have to go to work with an injury where with full-time status they'd be in getting that injury sorted, so we have to have luck there. "Around the bottom are the smaller part-time clubs but hopefully we will change that this year."